Deanna Shrodes: How are you different? 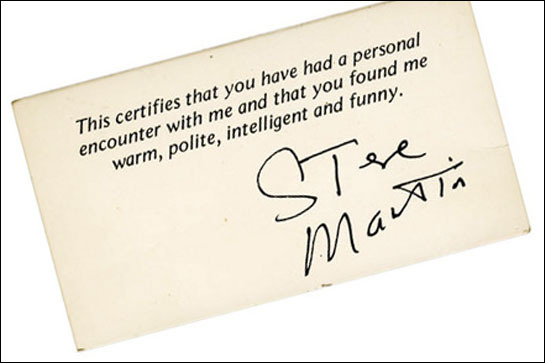 This is Steve Martin's business card. I really love it. 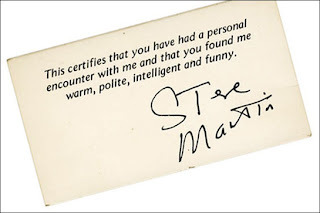 I've been considering what's going to go on my new business cards that I use exclusively for writing. This post yesterday was really timely in helping me to develop my ideas. Different is good. The world has so much of the same. God didn't create you to just blend in. Stop blending in and embrace different.